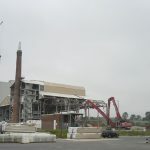 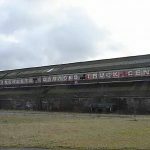 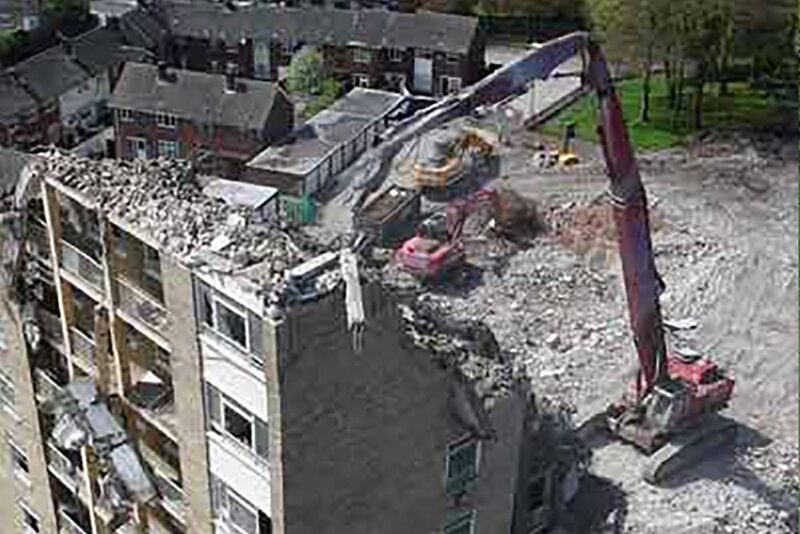 Scope: Demolition of three no. 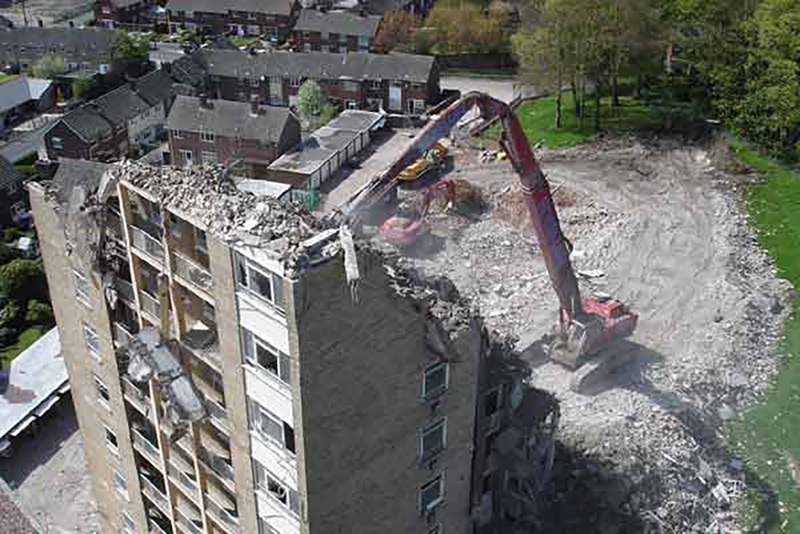 14-storey residential tower blocks, removal of all foundations and remedial landscaping works. 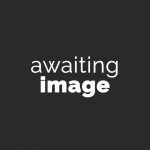 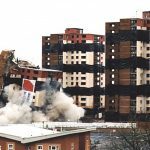 The site comprised three number 14-storey tower blocks comprising 39 number one bedroomed flats and 26 number two bedroomed flats. 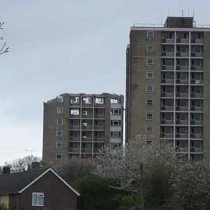 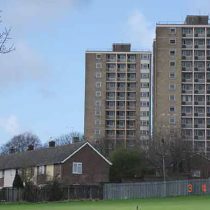 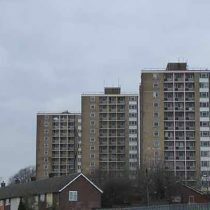 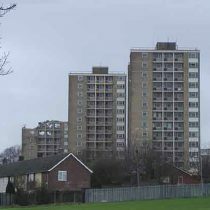 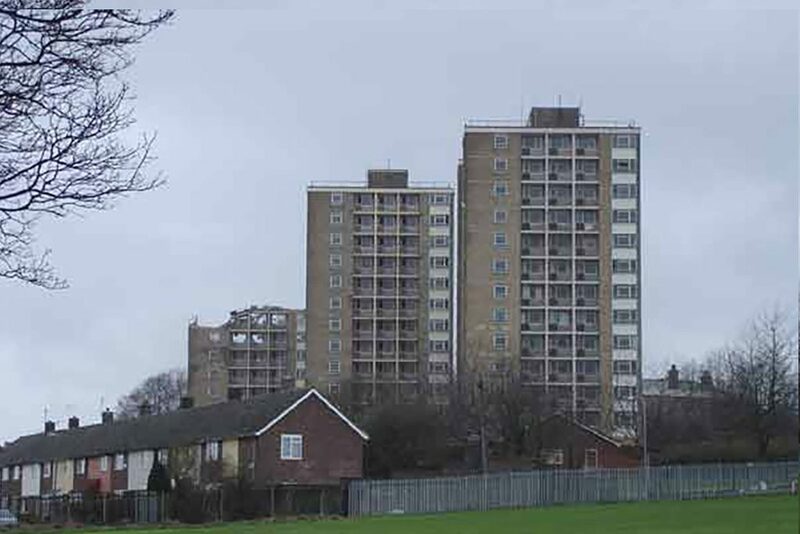 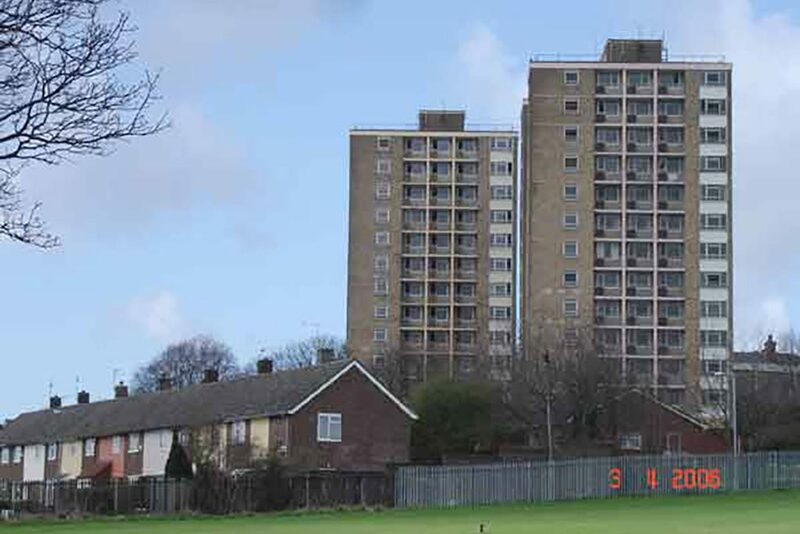 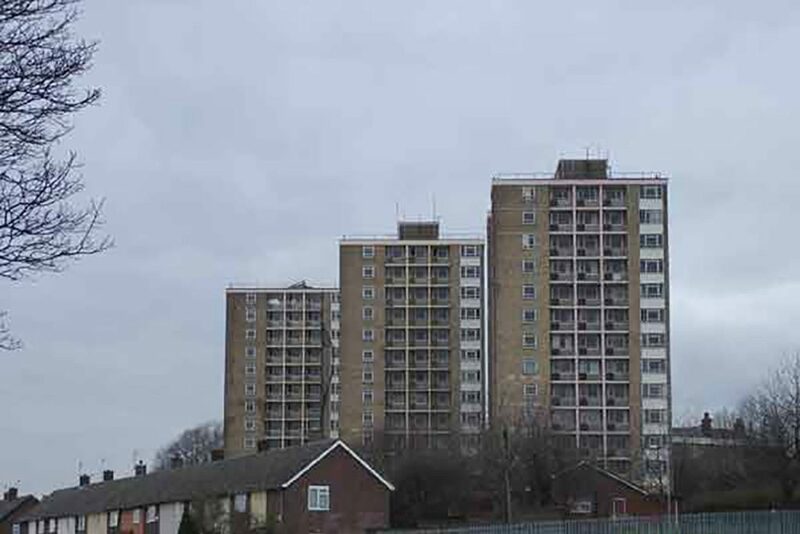 The tower blocks, built in 1963, consisted of a reinforced concrete frame with inner block walls, precast concrete floors and roofs with reinforced ground slab and reinforced concrete foundations. 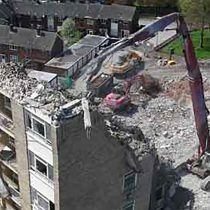 There were also sub-basements and lift pits. 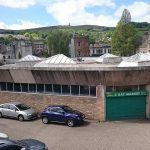 The Community Centre was a single storey brick built structure with a pitched roof. 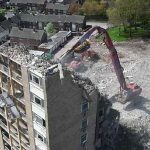 The blocks were soft-stripped and subsequently demolished in their entirety using our Hitachi EX800 Super Reach demolition excavator fitted with a concrete pulverisor with 360o rotation. 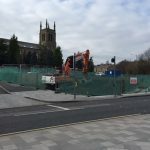 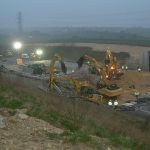 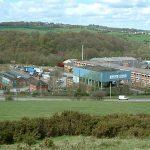 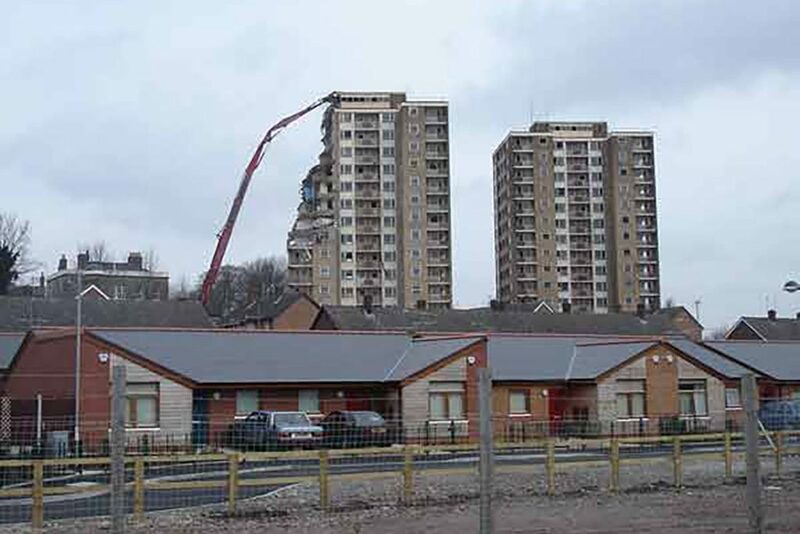 The site was levelled and tracked over in preparation for the subsequent housing development. 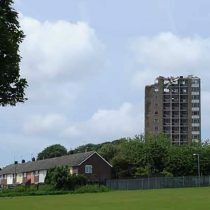 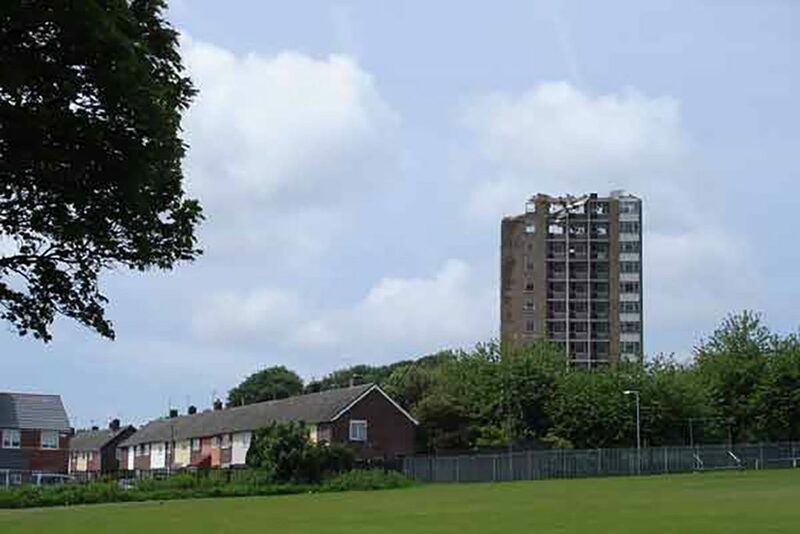 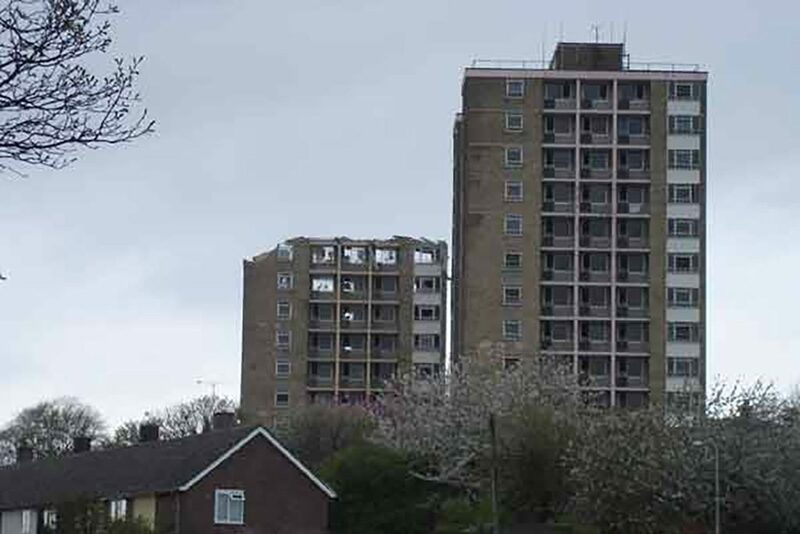 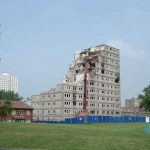 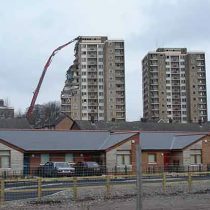 Over the last few years we have demolished a total of 11 similar tower blocks for the same client in the Liverpool area.